Federal income tax forms ask specifically for information from a Form 1099-DIV. 1. What to Do if You Are Missing Tax Documents? Collecting tax forms is a necessary step for personal accounting and income tax preparation. Form 1099-DIV is a common tax form that includes earnings from stock dividends, as well as taxes withheld, foreign taxes and capital gains distributions. If you don't receive a Form 1099-DIV by the end of January, you may need to take action before you can complete your tax return. You won't receive a Form 1099-DIV unless you have earnings that require it. If you own a dividend stock, and the company stops issuing a dividend, you'll stop receiving annual Form 1099-DIVs because you'll have nothing to claim. Even if you have investments that earn dividends, you may not receive a Form 1099-DIV if your earnings are below a certain amount. Some investment firms and companies only issue Form 1099-DIVs when annual dividend income is above a certain amount, such as $10. However, you must report any and all dividend income on your taxes, even if you don't receive a 1099-DIV. Investment income won't result in a Form 1099-DIV if it comes from certain types of investment accounts, even if its source is a stock dividend. These exempt accounts include IRAs, money purchase pension plans, profit-sharing plans and some other retirement accounts funded by tax-deferred income. Investment firms and companies you hold stock in are required to provide you with all necessary forms and statements by January 31. In some cases, these forms may be late, or not arrive at all due to clerical error. Contact the payer of the dividend to request a missing Form 1099-DIV, or to determine whether you should have one at all. If you manage your investments online, check your account for new messages or to access a digital version of your 1099-DIV. Although January 31 is the deadline for income payers to provide a Form 1099-DIV, the IRS recommends waiting several days to contact the institution. 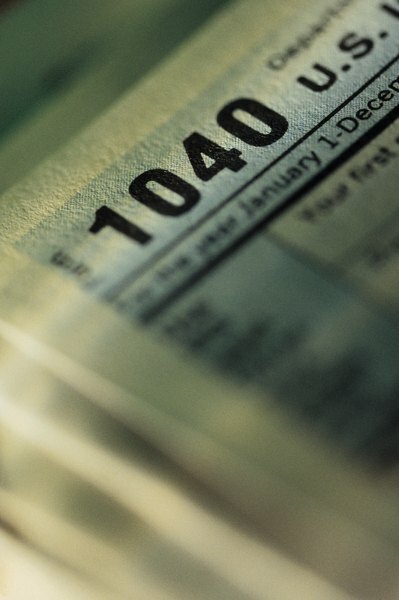 The earliest you may contact the IRS about a missing form is February 15. You may be directed to file an alternate form to supply the missing information, or the IRS may contact the payer on your behalf. In any case, you are still responsible for completing your tax return and submitting any required payment by the normal tax deadline. Tax Act: Missing a Form 1099? What Is Foreign Security Withholding on Stock Dividends?